PHOTO BY MIKE HANLON Dave McLaughlin, a member of Move to Amend Rochester. By one estimate, this year's federal elections could cost as much as $6 billion. That's a projection from the Center for Responsive Politics, the organization that runs the campaign finance tracking website Opensecrets.org. The number may be shocking, but it's not spontaneous or arbitrary; it's been decades in the making. And the Supreme Court's 2010 decision in Citizens United opened up a new stream of political money by giving corporations the right to spend their cash to influence elections. Essentially, it extended the 1976 ruling in Buckley v. Valeo, which cast political spending as a form of speech. In Buckley v. Valeo, the court said individuals have the right to spend as much money as they want to influence elections, as long as they weren't giving directly to candidates. 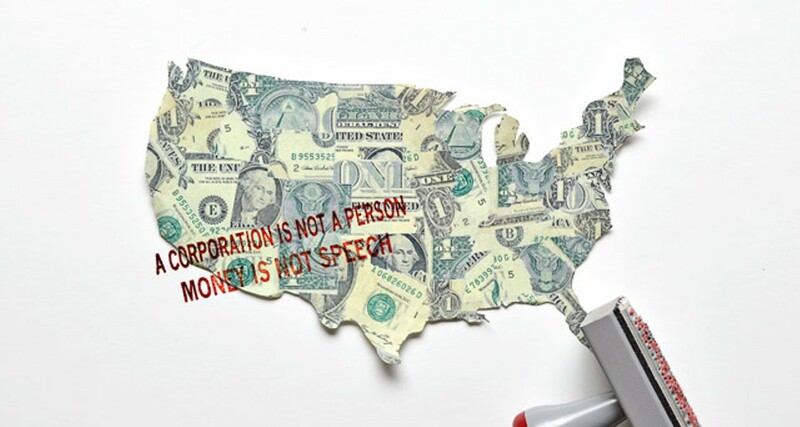 In Citizens United, the court said corporations have that right, too. Enter Move to Amend, a reform organization with chapters across the country. The organization's members say that the growing influence of wealthy donors and corporate cash erodes democracy; elected representatives have to think about how their large donors would react to their votes. "We see the electoral process becoming more and more corrupted each cycle," says Sam Fedele of Perinton, a member of the local Move to Amend chapter. "The evidence is the negative ads that you see." Fedele and other Move to Amend members say the best and possibly only recourse is a constitutional amendment specifying that a corporation is not a person, but a legal entity without constitutional rights. The amendment would also say that money is not speech, and governments can limit and prohibit contributions and expenditures, and they can enact disclosure requirements. Weak, loophole-riddled campaign finance laws are also part of the money problem. They allow corporations and the wealthy to funnel money into organizations set up so they don't have to disclose their donors. The result: unlimited spending without accountability. For example, Republican operative Karl Rove's organizations, American Crossroads and Crossroads GPS, lead in independent expenditures for the 2012 elections, spending at least $157.6 million. But the groups didn't disclose their donors, and by law they don't have to since they are nonprofits and not political committees. Super PAC's, unions, and other outside groups had put more than $1.1 billion into the 2012 federal races by the end of October. As of October 17, presidential candidates Barack Obama, a Democrat, and Republican Mitt Romney had raised a combined total of more than $1 billion and were nearing that mark in spending. The 2008 presidential election cost $1.7 billion, twice as much as the 2004 contest. The Congressional races haven't come cheap, either. House candidates raised approximately $1 billion and spent approximately $891.9 million as of October 17, according to federal elections data posted on Opensecrets.org. Senate candidates raised $627.6 million and spent $540.6 million in that same timeframe. And those sums don't include the half-billion dollars of outside spending reported in those races. Again, none of these are final figures, and there's typically a lot of spending in the last weeks of a campaign. Monroe County residents have had a firsthand look at the results of that spending, via two area House races. Rove's Crossroads GPS spent $1.2 million to produce and air ads attacking incumbent Democrat Louise Slaughter in her race for the 25th Congressional District against Republican Monroe County Executive Maggie Brooks. Outside ad spending isn't necessarily about building an image or name-recognition. In many cases, outside groups are trying to reframe the domestic agenda, to get people and politicians to pay attention to the issues they think are important. And those issues and interests don't necessarily align with the interests and desires of the general public. Often, they have to do with regulations. Corporations may want to overturn or water down environmental regulations that benefit the public, or banks may want to undo consumer protections that they see as impediments to larger profits. 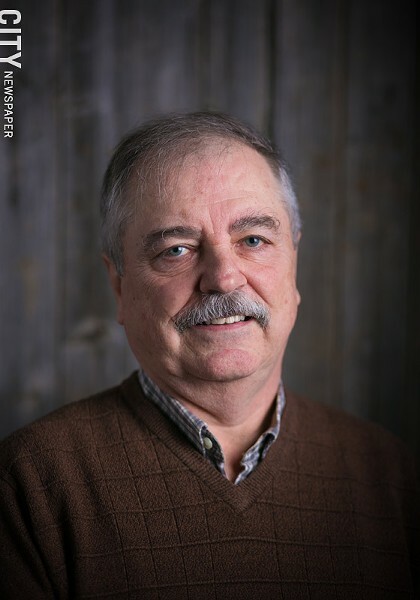 "Corporations do a lot of good things," says Dave McLaughlin, a local Move to Amend member. "But multi-national corporations, their loyalty isn't necessarily with the United States." Fedele says money and corporate spending in politics are often perceived as liberal issues. But there's a strong conservative case for undoing Citizens United and Buckley v. Valeo, he says. For one, the founding fathers never intended for corporations' influence to trump that of the greater public, he says. But money from wealthy donors and corporations is also an impediment to shrinking the size of government, Fedele says. For example, defense contractors are free to spend in support of candidates who would vote to maintain or increase military spending. "[You're] never going to get small government because corporations see the government as a source of revenue," Fedele says. Amending the Constitution is no easy task. The US Senate's website says that as of the end of 2010, 11,447 amendments had been proposed since the country was founded, and only 27 have been ratified. Among those that have failed or stalled: the Equal Rights Amendment and a measure that would give Washington, D.C., representation in Congress. The challenge is to make people understand and care about a complex subject, such as the influence of money on the political system. Once they do, they can educate and pressure their local elected officials, who can pressure higher office-holders and party officials further up the chain to build momentum for an amendment. Move to Amend Rochester says the first step is to educate the public, and the group is developing a program to discuss money in politics with civics-oriented classes at secondary schools and colleges. It's also planning a seminar featuring speakers on different sides of the issue. Local elected officials would be invited and given a chance to comment. And at 3:30 p.m. on Wednesday, November 14, Move to Amend Rochester and Public Citizen, a national political reform and consumer advocacy group, will host a forum at the Perinton Community Center, 1350 Turk Hill Road. The forum will focus on Citizens United, but also on how state legislation can promote fairer elections. That initiative also includes a tour of the Amend-O-Matic, a truck-mounted machine for stamping bills. That tour did not come through Rochester. Move to Amend is not the only group working to address issues around money in politics. Public Citizen and Common Cause are working at the state and national level to advance a constitutional amendment. In Common Cause's case, that work is part of a broader focus on campaign finance reform. But there's resistance from the wealthy interests and corporate leaders who are dumping money into elections through outside spending. For that reason, undoing Citizens United may prove a heavy lift. If that amendment is ratified, federal, state, and local governments would be able to pass new laws to limit campaign spending and to require full disclosure of contributions and expenditures. Without change, the voice of the average person in the US political system will continue to diminish. Candidates are caught in a cycle where they need to raise more and more money to compete. And as the cost of campaigning increases, candidates need more deep-pocketed supporters.